There are a lot of different gaming apps out there for the iPhone, but every once in a while you run across a gaming app that is just truly addictive. 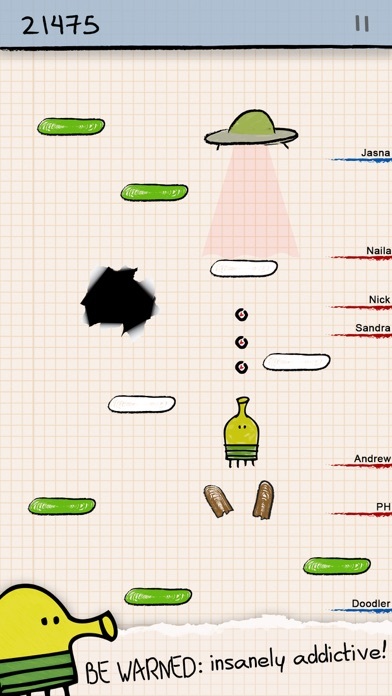 Welcome to Doodle Jump where you are The Doodler. 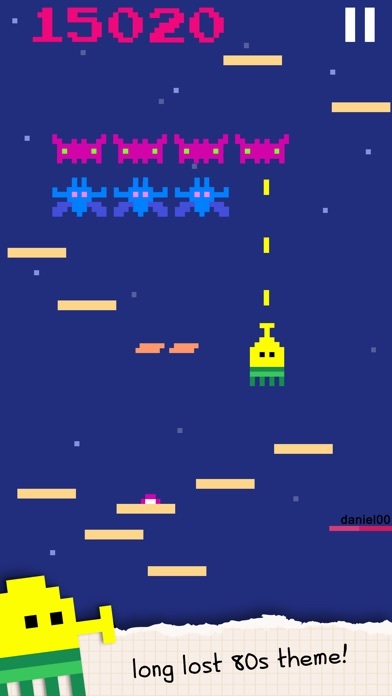 Your mission is to jump up and up a piece of graph paper and get the highest score you can possibly get. 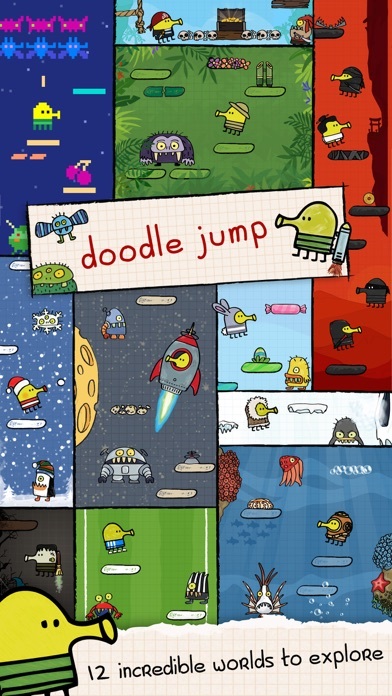 This game is all about getting higher, and The Doodler uses jet backs, trampolines, and others to ascend to the top. Along the way you will have to shoot enemies with nose balls and avoid black holes that would bring you down from your summit. 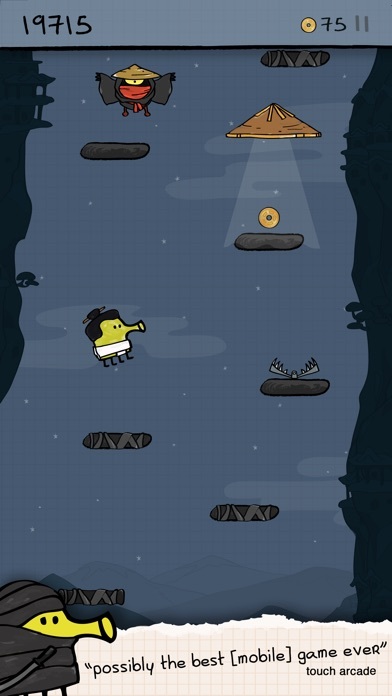 The game utilizes the tilt control of the iPhone apps of today, and you have to accurately move the phone left and right to be able to help The Doodler get the highest that he can. When it comes time to shoot, all you have to do is tap the screen to release a barrage of nose balls. 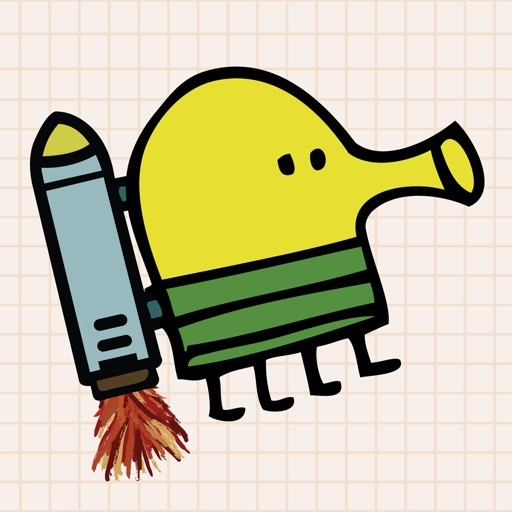 There are a lot of different features and fun things that you will experience during your Doodle Jump experience. First and foremost, the springy ascent to the top will keep you on your toes as you tilt the screen to keep your character from running into any mishaps. Also, you can see other players top scores in the margins to the side of the graph paper so you can judge how well you are doing. Also by changing your character name to Creeps or Ooga you can unlock the Easter Egg mode to switch it up and keep the game interesting. 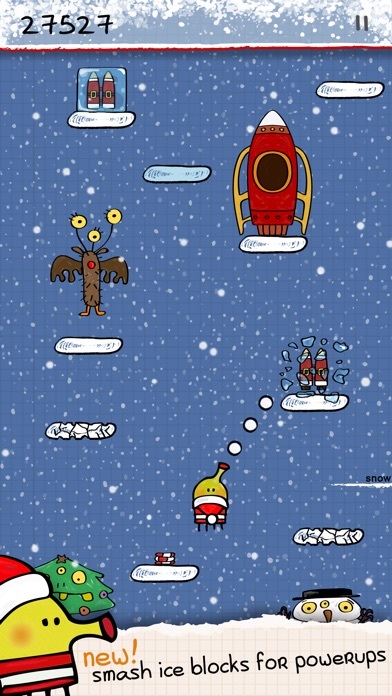 You will find lots of suprises as you elevate yourself to be the Doodler Champion! The gameplay is extremely addictive. Even there is no real clear point to this game, it just holds your attention and makes you want to keep playing so that you can beat the next top score. You will likely spend hours and hours on this app tilting and tapping to your heart’s content. Don’t miss out on one of the great apps of this new year, you won’t be disappointed. Voted 5 stars by iPhone app users and runs for around $0.99.